Best of Award Winners from Vail Valley, VVP Group Sales Team Wins Again! VVP Group Sales Team Does it Again! 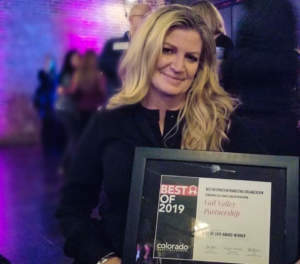 Vail Valley Partnership has landed the Colorado Meetings + Events “Best Of” award for being the Best Destination Marketing Organization (town/area less than 25,000 in population) a variety of times over the years. The focus since inception in 1964 has been serving as a regional Chamber of Commerce and pursuing destination sales and marketing and economic development for the nine towns in the valley. The VVP Group Sales Team had an estimated $24M+ of economic impact in 2018 from group bookings. The VVP group sales team is starting the year off with a bang! Just since January, they’ve assisted the lodging community in closing 19 contracts, with over 6K room nights and close to $1.5M in guestrooms. revenue alone. After three years of cultivating the relationship with ADP’s meeting planning department, the VVP group sales team has succeeded in bringing their President’s Club incentive program to Vail for the summer of 2020. With 1,500+ room nights over 10 days, this event will bring 500+ of ADP’s top performers, to experience all that the Vail Valley has to offer. Mountain Travel Symposium is the largest gathering of mountain travel professionals in the world. This event brings more than 1,100 representative from 35+ countries to establish relationships and build their business. While in the beginning phases of planning, the group has already booked 1,800+ room nights, over the span of 7 days, for April of 2021. Driving Our Economy: we are a catalyst for business growth, a convener of leaders, and a champion for a stronger community. We work to promote our region because increased visitation to our lodging partners, retailers, restaurants, and activity providers, and it positively impacts other professional service providers in our area. The annual Best of Awards are designed to honor the cream of the crop in the regional meetings and events industry. The awards are a celebration of the hard work and above-and-beyond service of suppliers who help planners be at the top of their game. 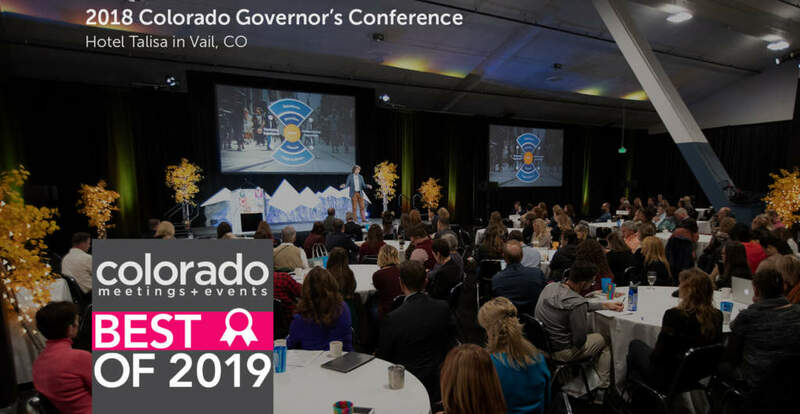 Every single winner in the annual Best of Awards is hand-picked by the meeting planners, event planners and suppliers who read Colorado Meetings & Events magazines. Readers determine the winners so every vote in each category is influential and important. Learn more about the VVP Group Sales team at visitvailvalley.com/groups-meetings/ or contact Director of Group Sales Kim Brussow at kbrussow@visitvailvalley.com.